Celebrating over 35 years of transforming kitchens across the UK. With multiple showrooms across the country, it couldn’t be easier to visit us and see our wide range of different kitchen styles and finishes! Every in-toto showroom includes a variety of kitchen room-sets that display as many different design, colour and accessory options as possible, helping you to visualise how your new kitchen will look. You are free to browse in a friendly and relaxed atmosphere, exploring storage, appliances and cabinets with a choice of almost a hundred door styles and over twenty colours. We're a different kind of kitchen specialist. Our nationwide network of studios are independently owned by committed franchisees and supported by the well-established in-toto brand, sharing 35 years of experience. This means that you benefit from the credibility and scale of a leading, nationally recognised fitted kitchen brand, but also enjoy the personal attention and unrivalled service of the owner of the business, who is as committed to quality as we are! 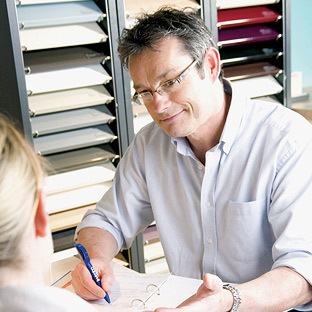 Each franchisee understands that the success of his or her own showroom depends on a local reputation built on satisfied customers. in-toto is all about people, choice and the personal touch. We invite you to meet the owner and design team at your local studio and discover the passion and pride the in-toto group shares in its kitchens. A great kitchen - guaranteed! Top quality cabinets, individually crafted for your kitchen, with leading brand state-of-the-art appliances, all installed to the highest standards, means that you can confidently expect a stunning kitchen from in-toto. In the unlikely event of a problem occurring with your in-toto kitchen, you have the peace of mind of knowing that all your in-toto furniture is backed by a full 2 Year Guarantee, which becomes active once your final balance has been paid. Appliance manufacturers offer separate Guarantees, which can be extended to suit your needs. in-toto has been trading for over 35 years in the UK. Our German kitchens are supplied by a well-established manufacturer, with experience and excellence in the craftsmanship of German kitchens. Visit a company that has a showroom so you can inspect the quality of the product and the standard of installation. Choose a retail member with a track record of good installations and ask to see some past installations. Make sure you have a written quotation that covers every aspect of the job, including fitting, flooring and any structural alterations you may have discussed. Don't sign anything unless you are prepared to honour your side of the contract. Some terms and conditions have expensive cancellation clauses. If in doubt contact in-toto. Stuck for ideas? See how our broad range of beautiful kitchens, bedrooms, appliances, work surfaces and lighting would suit your lifestyle.